"Everybody understands that Vanunu has no more secrets. What can a technician know after 18 years in jail, during which technology has advanced with giant steps? "The Americans, it seems, are very worried. The Israeli security services have to dance to their tune. The world must be prevented by all available means from hearing, from the lips of a credible witness, that the Americans are full partners in Israel's nuclear arms program, while pretending to be the world's sheriff for the prevention of nuclear proliferation." "President Kennedy tried to stop Israel from building atomic weapons. Kennedy insisted on an open internal inspection. "When Johnson became president, he made an agreement with Israel that two senators would come every year to inspect. Before the senators would visit, the Israelis would build a wall to block the underground elevators and stairways. From 1963 to ’69, the senators came, but they never knew about the wall that hid the rest of the Dimona from them. "Nixon stopped the inspections and agreed to ignore the situation. As a result, Israel increased production. In 1986, there were over two hundred bombs. Today, they may have enough plutonium for ten bombs a year." January 1, 2010: Message to Israeli SECURITY regarding Mordechai Vanunu from American Citizen Journalist and Back to 2005, 2006, 2007 and 2008! UPDATED Dec. 29, 2009: Israel arrests Vanunu again! July 15, 2008: How Vanunu Harms Israel: BAD PR! view the video on google by clicking here. 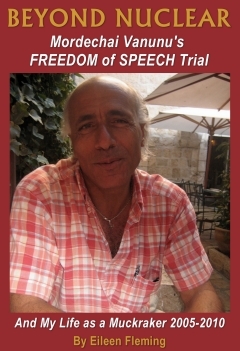 After a year and a half long FREEDOM of Speech trial in Jerusalem, on July 2, 2007, an Israeli court sentenced the whistle blower of Israel's WMD program, Mordechai Vanunu, to six more months in jail for violating a ban imposed on him in 2004. Since his release from Ashkelon Prison on April 21, 2004, Israel has denied him the right to leave the state and has forbidden him to speak to foreigners. Two days before President Bush's first trip to Israel Palestine and a day before Vanunu's appeal was to begin, Israel sentenced him to community service instead. On Feb. 5, 2008, Vanunu met with prison officials to arrange community service and learned that to his "surprise they say there is no community service in East Jerusalem. I told them the agreement for community service was on this condition that it will be only in the East Jerusalem. They say no one told them about this… I will do community service in the East Jerusalem or the appeal begins and may be the prison sentence." In an email on February 19, 2008, Vanunu wrote: "The court hearing today Feb. 19, was again postponed, because of a small snow here. We are waiting for the next hearing date soon." The rescheduled date of March 23, is this Easter Sunday. Vanunu has only lived in East Jerusalem since his release from 18 years in Ashkelon Prison on April 21, 2004. He said, "I went three times to West Jerusalem by taxi because I had to go to the Supreme Court. All three times some right wing extremist Jews shouted and threatened me. My community is the Lutheran Church in the Old City, the Palestinians on the streets and internationals. I have met with hundreds, thousands- probably even five thousand people since 2004." Everyone who talks with Vanunu on the street, on the phone or by email understands that they are being monitored by cogs in the industrial security-surveillance complex. The news that America is on the verge of becoming a police state was ignored by ABC, CBS and NBC and they have also ignored Vanunu's historic freedom of speech trial that began the same day Hamas was democratically elected in January 2006. On February 22, 2006 it was revealed in court that Israel had asked Microsoft to hand over all the details of Vanunu's Hotmail account before a court order had been obtained. Vanunu: "Microsoft obeyed the orders and gave them all the details…three months before I was arrested and my computers were confiscated…it is strange to ask Microsoft to give this information before obtaining the court order to listen to my private conversations. It means they wanted to go through my emails in secret, or maybe, with the help of the secret services, the Shaback, Mossad…Sfard [Vanunu's attorney] proved that the police had misled the judges who gave the orders to arrest me: to search my room, to go through my email, to confiscate my computers and that they misled Microsoft to believe they are helping in a case of espionage. The State came to the court with two special secret Government orders; Hisaion [documents or information that are deemed confidential by the government and kept from the court, the defendant, and lawyers.] This allows the prosecution to keep documents related to my court hearing secret. One was from the Minister for Interior Security and one from the Minister of Defense." 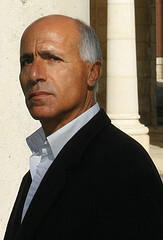 Vanunu's secretly taped police interrogations, his 2004 Christmas Eve arrest for "attempting to leave the country" when he attempted to celebrate mass at the Church of the Nativity in Bethlehem, the confiscation of his private property by thirty IDF that stormed into his room at St. George's Cathedral in 2004, according to Vanunu have all "been done…under the false and misleading statements to the courts of 'suspicion of espionage', and yet they are not charging me with spy crimes… and the fact is that I have not committed any crimes." "But the real problem that Vanunu represents...at a critically important moment in the history of the Middle East that Israel is a nuclear power and that its warheads stand ready to be fired from the Negev desert. [Vanunu] will also remind the world that the Americans, despite battering their way into Iraq to destroy Saddam Hussein's nonexistent weapons of mass destruction, continue to give their political, moral and economic support to a country that has secretly amassed a treasure trove of weapons of mass destruction. "How can President Bush remain silent on Israel's nuclear power when he has not only illegally invaded an Arab state for allegedly harbouring nuclear weapons and condemned Iran for the same ambitions, but also praised--along with Tony Blair's government--Colonel Gaddafi of Libya for abandoning his nuclear pretensions? If the Arab states are being "defanged"--always supposing they had any real fangs in the first place--why should Israel not be "de-nuclearised"? Why can't the United States apply the same standards to Israel as it does to the Arabs? Or why, for that matter, can't Israel apply the same standards to itself that it demands of its Arab enemies?" In 1986, Vanunu was a low tech worker in Israel's underground WMD facility in the Negev, but the sign out front back them still proclaimed it was a Textile Plant. All employees signed a secrecy agreement to never speak about what they did in the Dimona, and all jobs were compartmentalized. Because Vanunu was a good worker, he was cross trained in many areas and woke up to the fact that he was but a cog in the making of weapons of mass destruction. Without talking to family or friends, he decided totally on his own document the facts underground in the Dimona nuclear weapons plant by photographing the evidence. Vanunu easily obtained the keys to the restricted areas after they had been carelessly left in the shower room by a supervisor. Vanunu shot two rolls of film in the underground WMD facility but did not develop them until ten months later while in Sydney, Australia and just days after being baptized a Christian. The photos were published in the London Sunday Times just as Vanunu was being kidnapped, clubbed, drugged and bound by the Mossad in Rome and then flung onto an Israeli ship heading home. Instead of Israel being grateful for the alert to their inadequate security in the nuclear reactor facility, Israel tried Vanunu for treason in a closed door trial and locked him up for 18 years, most all of it in solitary. Vanunu has not set foot into the Dimona in 22 years and International Inspectors never have. "This administration tells me I am not allowed to speak to foreigners, the Media, and the world. But I do because that is how I prove my true humanity to the world. "The Israelis have 200 atomic weapons and they accuse the Palestinians and Muslims of terrorism. The Dimona is 46 years old; reactors last 25 to 30 years. The Dimona has never been inspected and Israel has never signed the Nuclear Proliferation Treaty but all the Arab states have. "Twenty years ago when I worked there they only produced when the air was blowing towards Jordan ten miles away. No one knows what is happening now. The world needs to wake up and see the real terrorism is the occupation and the Palestinians have lived under that terror regime for 40 years. "It's very sad that Hilary Clinton went to the Jewish Wailing Wall and forgot the real crying wall is the Palestinian wall; the apartheid wall, the wall is not for defense, but to keep this conflict permanent. "The only way to peace is peace; the only way is nonviolence. The only answer to Israeli nuclear weapons, their aggression, occupation and oppression, and the wall and refugee camps is to answer them with truth and a peaceful voice. When I became the spy for the world, I did it all for the people of the world. If governments do not report the truth, and if the media does not report the truth, then all we can do is follow our consciences. Daniel Ellsberg did, the woman from Enron did, and I did. The United States needs to wake up and see the truth that Israel is not a democracy, unless you are a Jew. Israel is the only country in the Middle East where America can right now find nuclear weapons. "America can also find where basic human rights have been denied Christians: right here in Israel. The time has come for the United States to see the truth of Zionism. It began as a secular nationalist movement, not a religious one. Then some Christians believed that when Israel became a nation, it was the beginning of the second coming. They are deluded if they believe peace will come through atomic weapons. Atomic weapons are holocaust weapons. Christians should be the first people against them. "My human rights have been denied me because I am a Christian. When I was on trial, I was treated just like a Palestinian: no human rights at all, and cruel and unusual punishment, all because I told the truth. The government spread slander about me, that I was a homosexual, that I hated Jews, that I wanted fame and money. What I did was sacrifice my life for the truth. In prison, I really began to feel like Jesus and Paul. When Jesus threw the money changers out of the temple, it was like me in Dimona, exposing the Israelis' dirty secrets. I felt like Paul, being thrown in prison for speaking the truth. "The only real way to worship is in loving one's enemies. It was not easy to love my tormentors; it was only because I felt so much like Jesus crucified on the cross, and as if I was crucified in prison, that I could do it. It was not ever easy. I have forgiven but not forgotten anything, and I never will. In Israel, a life sentence is twenty-five years. Even murderers go free after seventeen. They imposed the same restrictions on me that Palestinians receive: no human rights at all; no phone; no visitors, except family, and only through an iron grill; no vacation; no holidays; and no gifts. Even murderers get out for vacations! I was locked up for eighteen years and still cannot go on vacation; I cannot leave, and that is all I am asking for, just to leave here. For eighteen years in prison, they even attempted to control my thoughts on paper. I would write exactly what I wanted and they would censor words like kidnapped and atomic bomb. They would show me how they chopped up my letters, but I continued to write exactly what I wanted. They held my body, but never my spirit or mind...Israel is only a democracy if you are a Jew." Vanunu was again arrested on a Christmas Eve. He was having dinner at the American Colony with a German tourist. 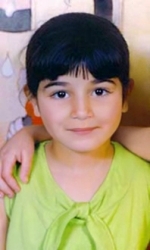 In an email on Dec. 26, 2007 Vanunu wrote:"...they were very harsh to the young German girl, they were questioning here like by the KGB...she was in a separate room. She was still there after I left at 24:00...So do what ever you can, you are in a free country." Also unafraid of speaking with Vanunu as he told me during a Feb. 12, 2008 phone call are the, "Ten to twenty foreigners I meet every day in the streets, in the restaurants, in churches; some times they are short meetings, sometimes long meetings." I had called Vanunu to ask him what he thought about the two suicide/homicide bombers who blew up six miles from the underground Dimona nuclear plant on Feb. 5th. Reuters had originally reported that a source said the "Army of Palestine" wing of Fatah's al-Aqsa Martyrs Brigades from Gaza carried out the attack in Dimona along with the Popular Front for the Liberation of Palestine (PFLP). Within hours it was then reported that it was two Hamas from Hebron. Israeli authorities denied the nuclear plant was the target and not one journalist questioned it. Vanunu said, "We don't know if they were Hamas or Fatah, but they got as far as they could get to the Dimona. 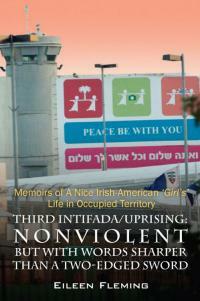 The Dimona is very heavily guarded, and only another state could blow it up, not terrorists." Vanunu hasn't set foot in the Dimona in twenty-two years, [International Inspectors never have] yet Israel continues to insist they cannot let him speak with foreigners or leave Israel, because Israeli authorities claim he still has a secret he has not yet told. 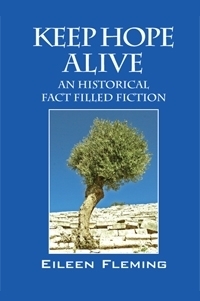 Vanunu has maintained, "All the secrets I had were published in 1989 in an important book, by Frank Barnaby, The Invisible Bomb: Nuclear Arms Race in the Middle East." 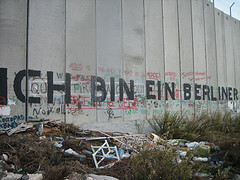 Article 12 of the International Covenant on Civil and Political Rights (ICCPR), which Israel ratified and is obliged to uphold, stipulates: "everyone [has] the right to liberty of movement and freedom to choose his residence" and that "everyone shall be free to leave any country, including his own". "Israel is bound by international law not to impose arbitrary restrictions on Mordechai Vanunu, including on his right to travel within the country or abroad, his right to peaceful association with others and his right to express his opinions" - Amnesty International Press Release of April 19, 2004 and July 2, 2007. Vanunu concluded our February phone call, "For 18 years in prison I felt like a man at a train station, waiting for my train. I lived in a six by nine foot space without a window for 18 years. Every day I would get up, get dressed, put on my shoes, look at the same four walls and wait for that train that never came…Now I live in a nine by nine space with four walls, I have a window to the Mount of Olives and the street. But, I live like a tourist without even a TV in a cheap hotel and all I want to do is leave Jerusalem. I am no longer waiting for a train. Now I am at the airport terminal waiting for my plane."